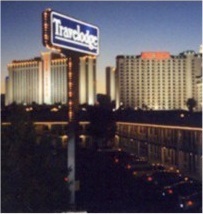 Located only one block from McCarran International Airport this is an affordable alternative for a business or leisure traveler. Only one block to the Las Vegas Strip this hotel is convenient and packages a complimentary breakfast in for an additional value. 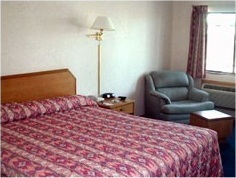 This hotel provides comfortable guest rooms with either one king or two double beds. Decorated in a southwest theme the rooms are well appointed with all the amenities that are expected by a Travelodge standards. 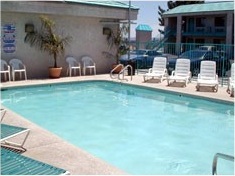 Enjoy your in-room tea/coffee makers, Hair dryer, iron/ironing board, recliner, voicemail and a remote control TV.